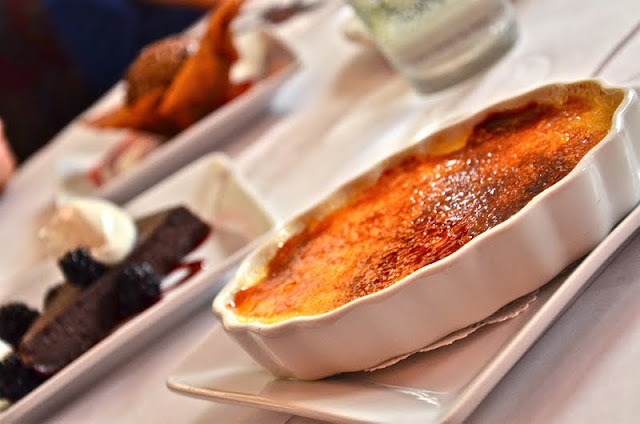 This is the third and final installment in a series documenting our latest trip to my favorite restaurant in Kansas City, Le Fou Frog. Read about our first course and our second course. Finalement! ...de dessert. 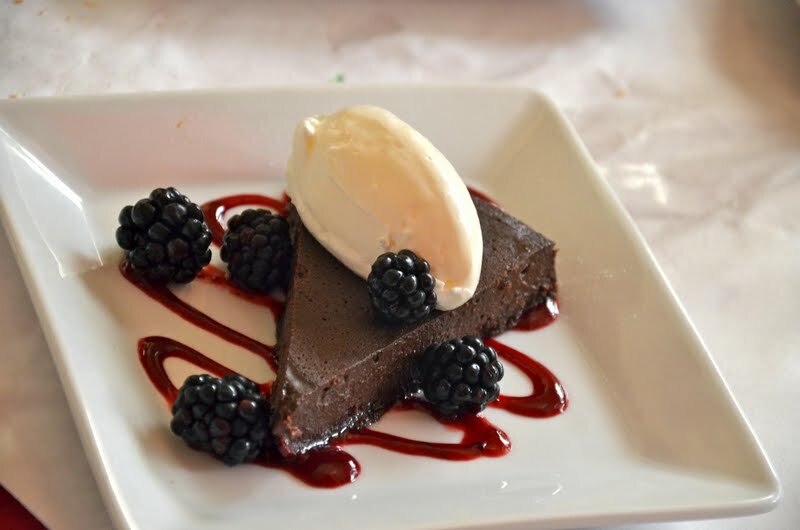 This beauty up here was the special of the day - a flourless chocolate torte. Deep, dark, rich chocolate paired with an exquisite, tart raspberry sauce. Crème Brûlée. A standard, executed beautifully. Although I was longing for some berries to go with it. Tarte Tatin. 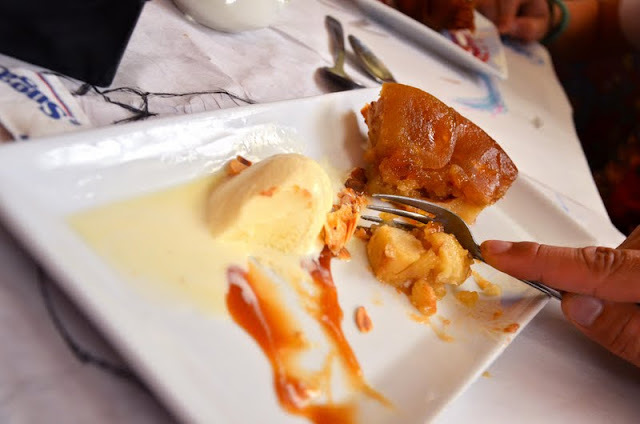 An upside-down apple cake served with caramel and vanilla ice cream. The Stallion's favorite. Chocolate Mousse served in a tuille. I really love raspberry sauce served with my chocolate. 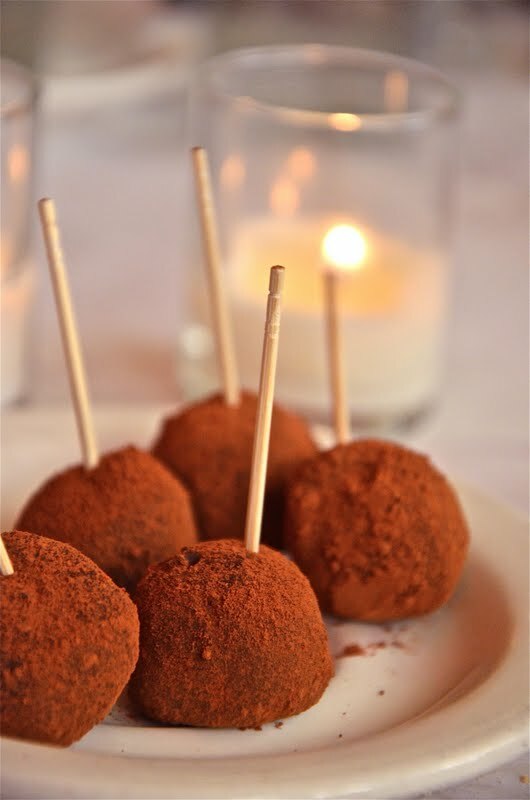 Are you too stuffed from dinner to even think of dessert? But, at the same time, you just want something sweet to cleanse your palate? 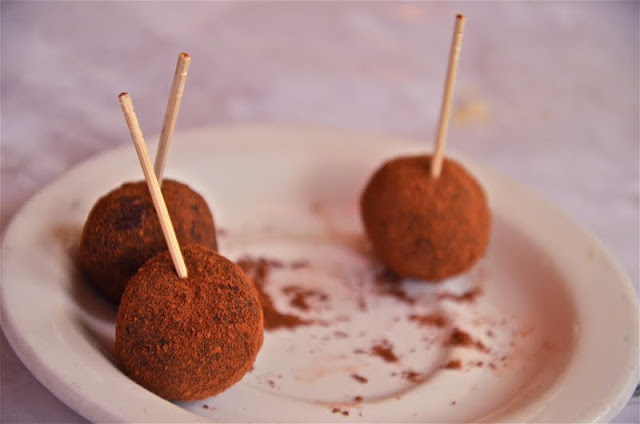 Enter housemade chocolate truffles accompanying your check. They're the perfect sweet ending. And they come even if you've already had dessert. Oh all of these look so delicious! I especially like the looks of that chocolate mousse.